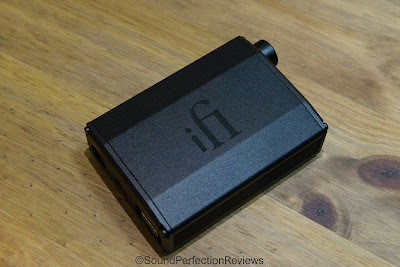 Firstly I would like to thank iFi Audio for loaning me this unit for review. HP Laptop > Nano iDSD Black Label > Kinera Earbuds, Custom Art FIBAE3, HiFiMan HE500, German Maestro GMP400 and others. The Nano iDSD Black Label comes in familiar packaging if you have bought from iFi before, a small white box with an outer sleeve detailing features and specs. Take off the sleeve and you are greeted with a two part box, take the top off and the Nano iDSD is held in place with a foam inlay, also you will see a white box which houses the accessories. I like the simplicity of iFi Audio packaging, pleasing to the eye, detailed and easy to open, with no added frills or luxuries. The Nano iDSD BL is a very neat little device that feels like it was built to last the rigours of daily use. The housing is made of aluminium, the sockets are all tight and have no play in them, the volume knob that acts as the on/off switch is smooth and doesn’t stick out far. Overall it feels well put together and should last a long time, and survive some tumbles. Accessory wise you get a small black velvet carry case, a small pigtail adaptor (USB to USB-A), a solid USB to USB-A adaptor, and a long USB cable for PC use. Also included are 2 amp straps, everything you need to get up and running on a PC or MAC. You will need additional cables for using it with an Android or iPhone. The Nano iDSD BL is a DAC/Amp, it only has a USB input, and cannot be used with an analogue source, nor can it be used with a coaxial or optical source. This limits it somewhat, but then again to fit all that in a small chassis would bring compromises that could alter the performance. On the back you have the USB input, filter switch and a 3.5mm line-out. The filter switch has 2 positions, Measure and Listen, there is a very slight difference between the two; the listen position adds a little smoothness and warmth to the sound, the measure position gives you a more analytical sound. On the front you have the volume knob that acts as the on/off switch, and two headphone outputs. The direct output which is for full-size headphones and the iEMatch output which is for sensitive IEM’s (the signal is attenuated a little amongst other things). 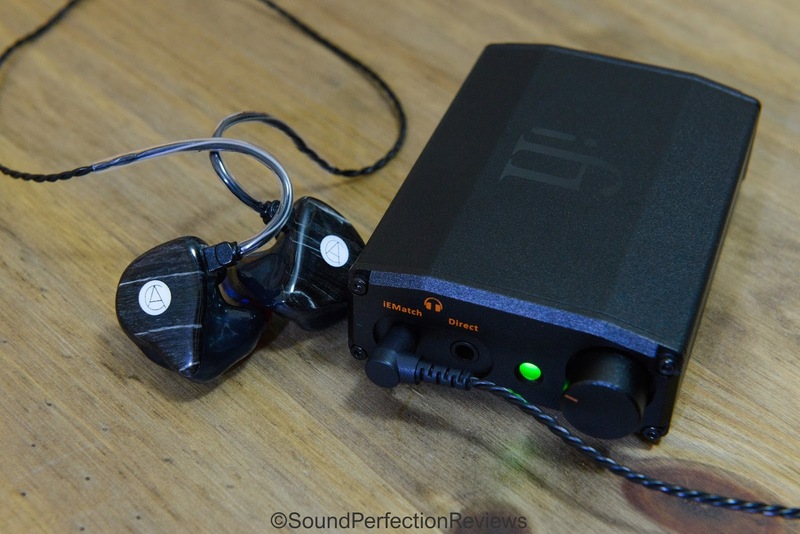 The 3.5mm output is also TRRS compatible if you want to go balanced, but iFi say the way their system works brings benefits of balanced to single ended headphones too. The Nano iDSD BL is plug and play with most devices, however it is recommended to install the official iFi drivers on a PC. The Nano iDSD BL has an internal battery capable of giving up to 10hrs of listening time on a full charge. This makes it a great companion to those who have moved to phones without a headphone jack. The Nano iDSD BL is a great little device that packs a punch in a small package, its sound is much bigger than its size might suggest. It has a slight warmth and smoothness to the sound, being a great DAC/Amp to just sit back and enjoy the music with. Using it with IEM’s it brings an added level of control and separation to the sound, bringing out much better sound quality than your average smart phone or computer can deliver. It does a very fine job at handling slightly harder to drive loads like the HD6xx series from Sennheiser, or my German Maestro GMP400, bringing out very impressive dynamics and a slight fullness to the sound. The Nano iDSD BL is not clinical, it won’t make you analyse your system, but it also doesn’t mask the finer details. 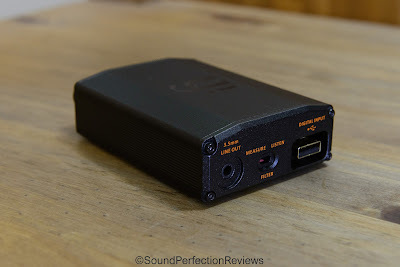 The detail retrieval is superb, and as a standalone DAC it would do very well in any system. iFi have spent some time honing the sound of their newer devices, making them appeal to a wide audience with a detailed, yet rich and open sound that is sure to please a lot of people. 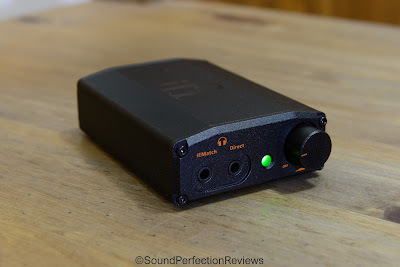 There is no lack of air or sparkle up top, it is still a very well balanced sounding DAC/Amp, but as stated it is not clinical in its presentation. It doesn’t try to jump out and say “Hey I’m influencing the sound by adding this” instead there is a subtle smoothness that takes away any fatigue. The Nano iDSD BL works really well with most of the easy to relatively hard to drive headphones out there. Performance with IEM’s should not be understated; the iEMatch works wonders allowing you to listen to sensitive IEM’s with no hiss, or the need for an attenuator. The iFi Nano iDSD BL is the perfect portable partner for any audiophile on a tight budget, for £200 it offers a lot for the price. It is an easy recommendation, the sound is smooth, natural and open, the build quality is excellent and there are no downsides apart from the lack of inputs. Use it out and about, then at home hook it up to your speaker system via the line-out. You won’t be disappointed by the Nano iDSD BL. 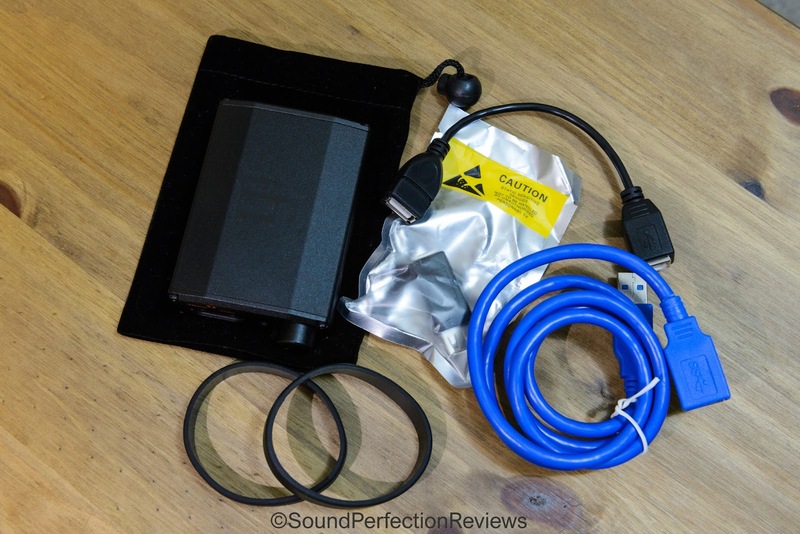 I really cannot fault it for the size and price; it seems that most equipment prices are going up, yet iFi are really out there trying to show you can have a lot of performance for a small price. Now I wish iFi could bring out a sub-par product so it doesn’t look like I am being sponsored to write positive reviews for them. But I genuinely struggle to find fault with the Nano iDSD BL, along with quite a few of their other products. Sound Perfection Rating: 9.5/10 (The sound and features make up for the lack of inputs). Will this be able to drive planars like Hifiman HE400i well?